Sometimes there are no words! 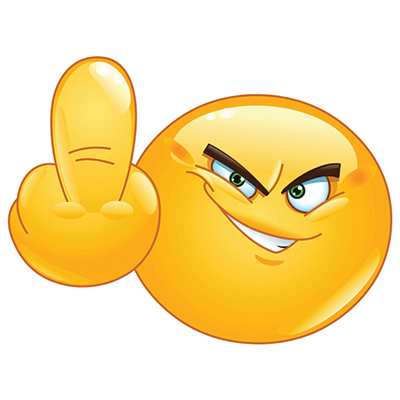 Send them the message loud and clear with the Middle Finger Smiley. Because, as everyone knows, Facebook doesn’t have a ‘dislike’ button! This smiley, however, says it all! You can tell someone in no uncertain terms just what you think of what they have to say or a negative situation you might be dealing with. 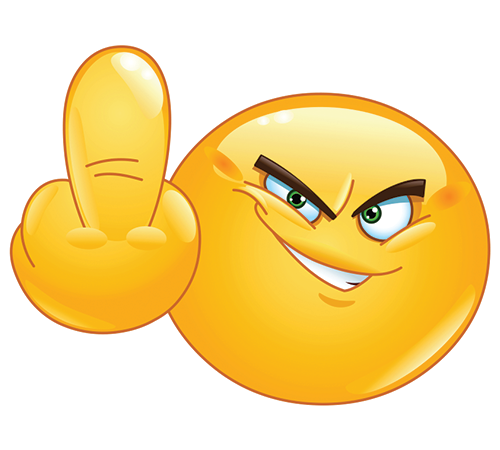 It’s not our friendliest smiley, but it definitely gets the point across! 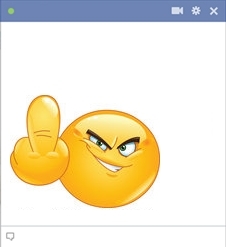 - See new Facebook emoticons.